Melissa Made: Artist Review Blog Hop and Whimsy Stamps! 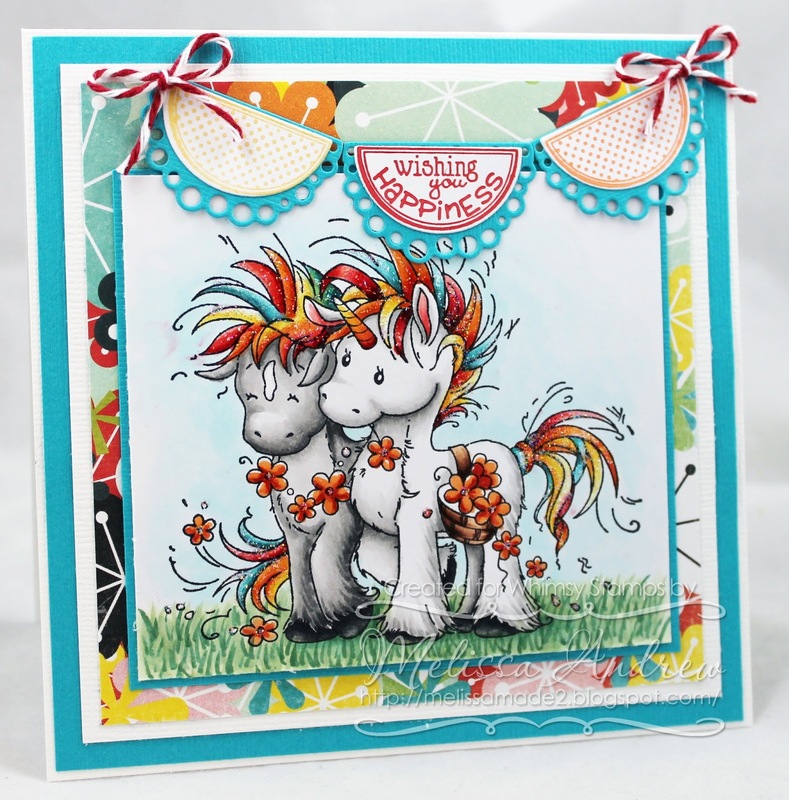 Artist Review Blog Hop and Whimsy Stamps! Welcome to the Whimsy Stamps September 2013 Artist Review Blog Hop! For today's creation I used the adorable Wee Stamp called Beau and Bashful. I colored them in Copics and paired them with the fun half circle pennant die and the Celebration Circle Pennants sentiments! The twine is also from Whimsy stamps and is Maraschino Red twine, which I LOVE! Melissa Andrew - That's Me!! Aww --Exceptionally Sweet!!! Just tooo dern cute!! What a sweet image... love your color combo! Love this card. Such a cute stamp and the banner is so cute! awwww they are to darn cute!!! love this card! Such a cute and beatiful card Melissa!! Beautiful card, Melissa! Love the bright colors and darling image! Wow...I said already.... i have to own those two. They make me smile everytime. Love the coloring. Great card! WOW!! This is stunning! I love the sweet image, amazing colouring and such gorgeous detailing too. Gosh this is a cute card Melissa! I love the way you've coloured them and the little banner is adorable too. I can't help but smile when I look at these little unicorns! Lovely card...that banner is wonderful! Love your card hun and the image is gorgeous. Such a sweet and cute card!! OMGosh this is so super cute! This is so super cute. Love your coloring as usual! Very Cute...great use of color! I can see a child's face lighting up! So cute. Love the unicorns. Wow this is just gorgeous Melissa! I LOVE how you've coloured them... and the shimmery manes and tails are perfect!